The 2035 Match left a profound impact on its participants, spectators, and everyone else who heard about what happened. 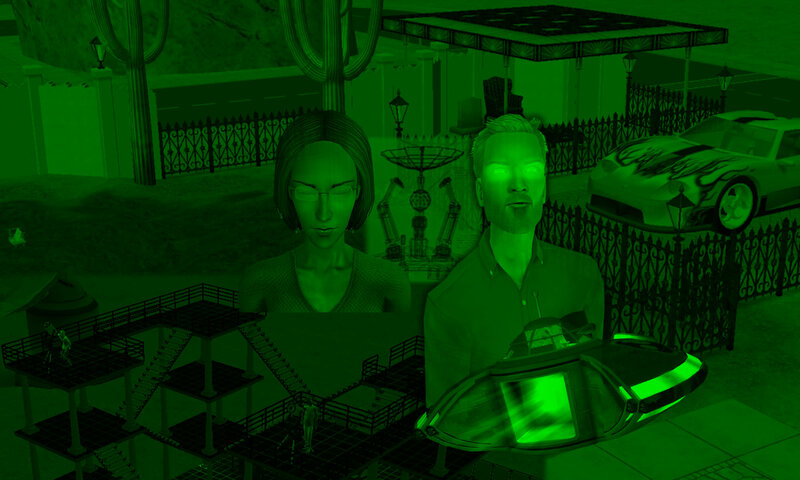 The official end of the long-standing Veronaville Feud caused many sims to consider reconciliation and peace in their own relationships. For the next few days, Daniel Pleasant was deep in thought about his three children. Angela had probably turned out the “best” among them. Having no shortage of love, affection and affirmation from both her parents, it was easy for her to become a loving wife and mother in her new family. She had good grades, and was for the most part, well adjusted, except for a somewhat mean streak towards “people who did not fit in”. Daniel knew that he and Mary-Sue were to be blamed for this, for Angela simply copied their example of how they treated Lilith. Lilith. Poor girl. As Angela’s identical twin, Lilith had every prospect of turning out more similarly to Angela. 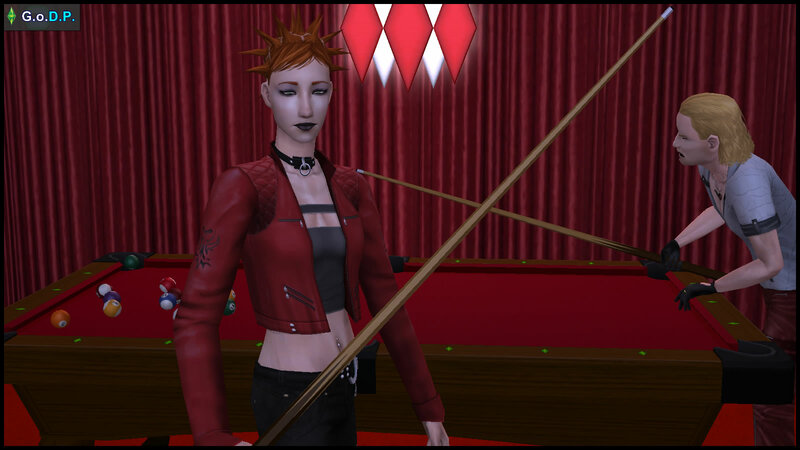 Except that Lilith wanted different things in life. She just happened to enjoy the types of music and dress styles which Daniel and Mary-Sue did not approve of. When multiple coaxing failed to change her to be “more like Angela”, Lilith was left feeling ignored and abandoned. No wonder her young life was full of anger and frustration. Daniel was suddenly struck by a bizarre thought: Lilith was like his sister, Jennifer. While they were growing up, they both wanted things that their parents disapproved of. At least Jennifer’s whims of being a football star were partially tolerated by their father. However, nobody at home had anything positive to say about Lilith’s tastes. No wonder Lilith felt so alone. Fortunately for Lilith, her Oldie grandparents decided to accept and affirm her for who she is, thus saving her from a life of sadness and unfulfillment. Even as her father, did Daniel ever have the right to judge Lilith, just for being herself? Daniel was furious with himself for never being able to see things from her perspective. 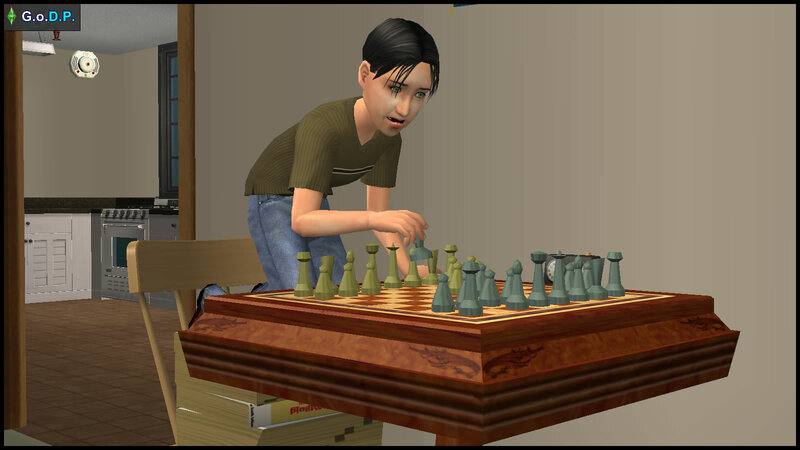 Parker, the “son of his old age”, the male child he had longed to have. Daniel had believed for a long time that his experiences with raising Parker’s two older half-sisters would have made him highly proficient in guiding his young son. But the 2035 Match had proved otherwise. Parker had broadcast his selfishness and carelessness for all to see. The boy cared little about consequences, and had to be taught a painful lesson. Was the shame of a Red Card after less than 20 minutes on the pitch good enough to drive home the message? Parker had bragged about the “Full CR7 Set” that he looked forward to getting from his parents on his upcoming birthday in 2035. However, Daniel no longer felt that Parker deserved to get the expensive and prestigious set of jersey, shorts, socks, boots and football, all signed by Cristiano Ronaldo, the footballing titan. Instead, Parker would only receive a regular pair of football boots for his birthday. Daniel would also discuss with Kaylynn about the possibility of transferring Parker to another football academy, so as to force the boy to abandon the entitled attitude he had developed from being “the coach’s son”… before it was too late. It pained Daniel to send his son away. However, the pain was lightened slightly by the fact that his grandson Demetrius Dreamer, heartened by his good performance in the 2035 Match, decided to sign on to Simley Town FC. Demetrius’ permission form was signed by his mother, Angela. Lilith Broke was sitting on the bench outside her house. About 20 years ago, she had slept on this very bench, on the night she ran away from her parents’ home to the home of the Oldies, her grandparents. 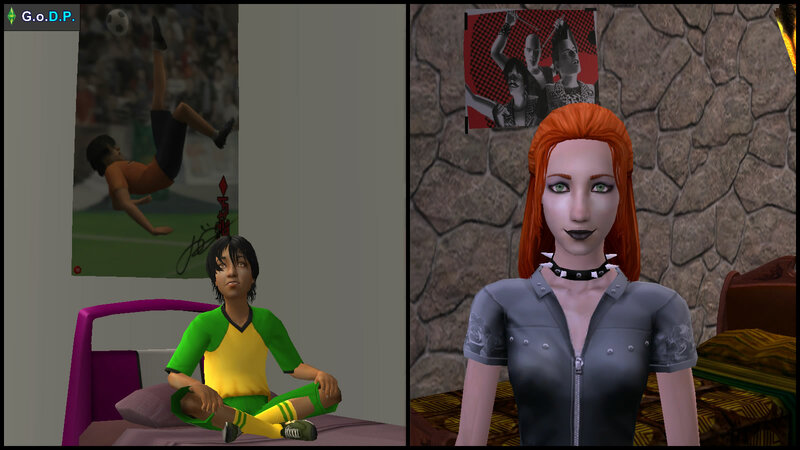 After the Oldies died, they left their house to Lilith, much to the chagrin of their daughter, Mary-Sue. Suddenly, she saw a familiar figure approach from a distance. Lilith’s husband, Dustin Broke, recognized the visitor first. After acknowledging a reluctant nod from her husband, Lilith got up and greeted the visitor. “Hi, Lilith. It’s a good day today.” Daniel endeavored to maintain a conversational tone. Lilith’s jaw dropped. She was utterly speechless. Lilith’s tears were flowing uncontrollably, and she made no attempt to restrain them. Daniel was fighting the conflicting impulses of his watering eyes, and his attempt to retain his show of dignity. After a long moment, Lilith released him. After a pregnant pause, Lilith continued. “Why?” Daniel was truly puzzled. He had never asked Lilith this question. “I can only speak for myself, not for your mother.” Daniel shrugged in a matter-of-fact way. Father and daughter shared a smile, as he walked off the lot, and she back towards her house. Lilith’s smile broadened into a grin as she beheld the look of utter shock and bemusement on Dustin’s face. There was no gun in his hands. 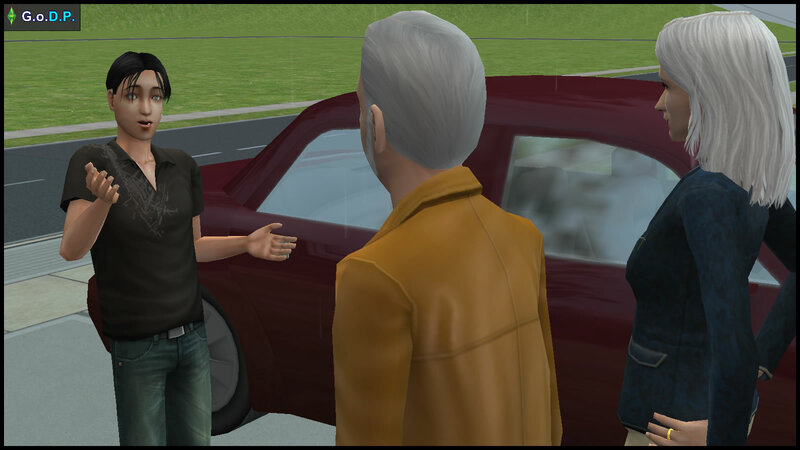 “Dad, do I really have to leave Simley Town to join Simsborough?” Parker mumbled halfheartedly, as he got out of the family car. His parents followed suit. They were outside the home stadium of Simsborough FC. “Yes. You’re very lucky that Simsborough Football Academy is willing to take you, because you are my son, the son of Coach Pleasant of Simley Town, whom they tried to sign a long time ago. After getting Parker settled inside the stadium, Daniel and Kaylynn Pleasant made their way back to the car. They were headed for the airport, on route to their second honeymoon at Three Lakes. “True. Lucy is so fortunate to have the privileges that Jennifer never had. I’m glad to have a part to play in fulfilling her dreams. My ‘football daughter’… all grown up and about to be married,” Daniel beamed. After receiving a kiss blown to him by Kaylynn, Daniel started the engine. The car drove off slowly into the sunset. GODP is an experimental tale. More of a summary than anything long-drawn, it is an attempt to capture long decades in a few short episodes. 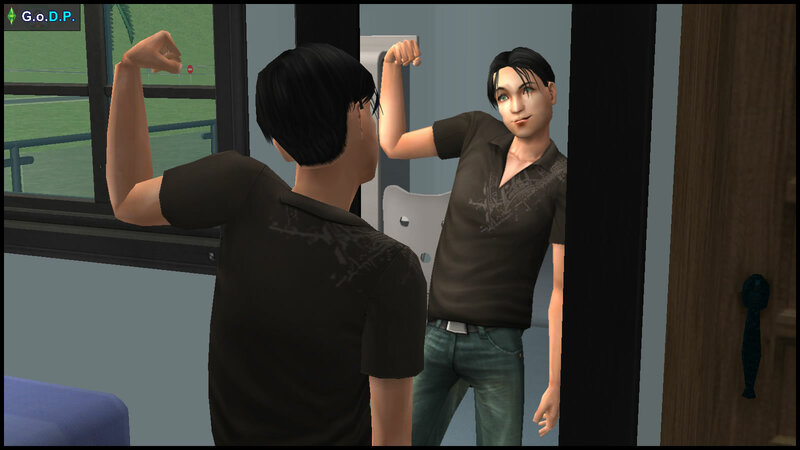 Most of the character development is on Daniel’s part, where he tries his best to make up for his past mistakes. This version of “cheating husband” Daniel Pleasant is truly repentant, so he deserves to be forgiven and portrayed positively. In addition to that, the gun situation also depicts how Dustin’s “dislike for the old man who thinks of him as a delinquent” is LESS than his “love for Lilith”.